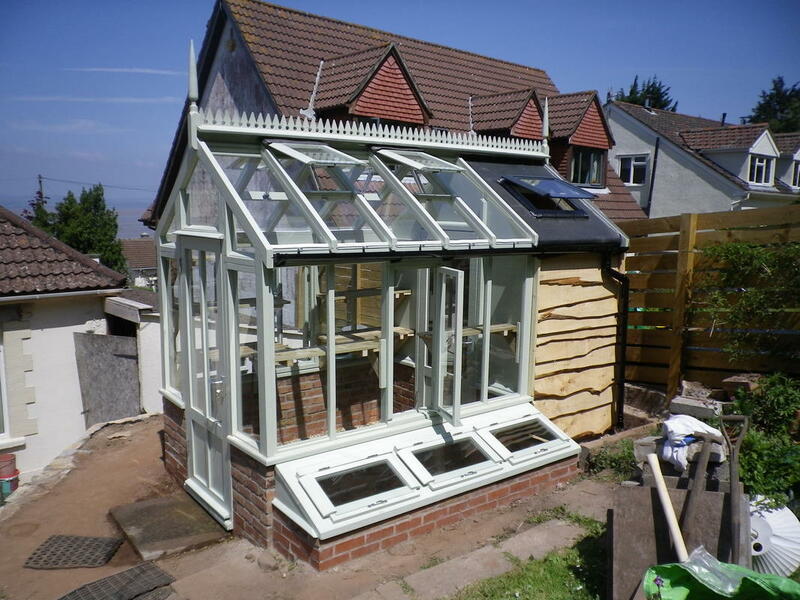 The price always includes everything you see, and everything we think you'll need, so you can simply walk into that greenhouse when it’s finished and start enjoying it - guttering, staging, tool rack if you have a porch. No builder required - I build the walls, foundations, lay paving slabs or even the herringbone brick pathway if you're having that option. Nationwide coverage. 5yr guarantee (50 with accoya). No extra charge for having it bespoke. 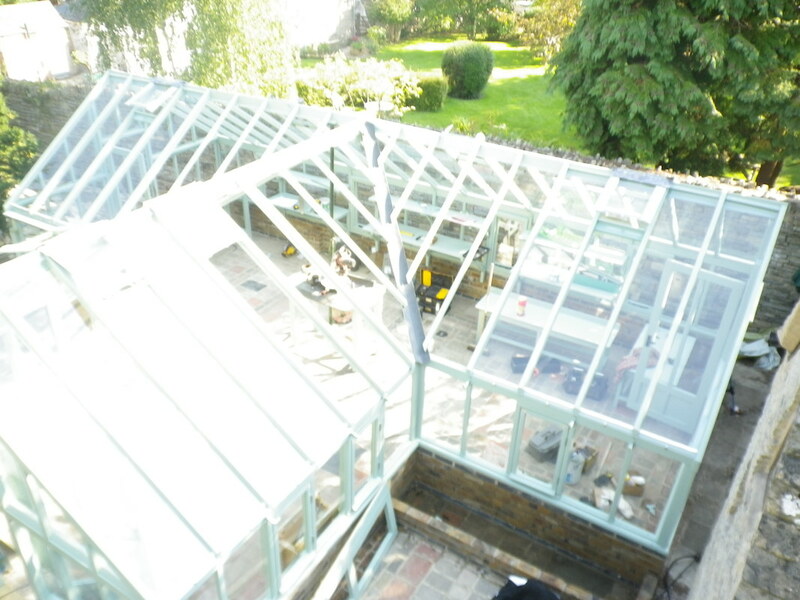 No other greenhouse company provides the full-build package - laying foundations, building walls and flooring, then erecting the greenhouse and glazing. Green Bug is fully bespoke - any size, colour, shape anywhere in the country. All by one person. 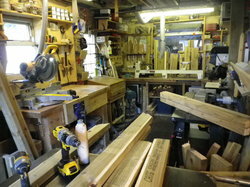 You only deal with Robin McGregor so you don't have to organise other trades coming to your garden and Robin will design and build everything you want personally. 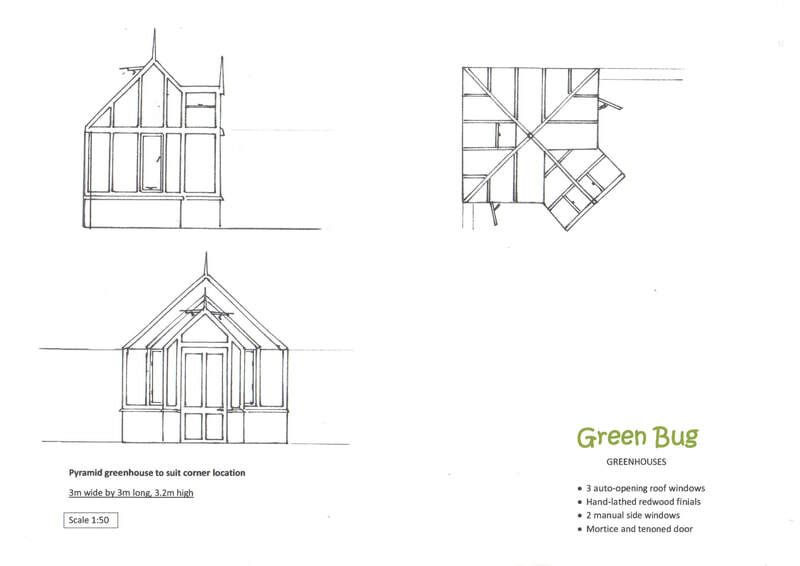 Green Bug also offer the option of having any greenhouse built entirely from Accoya timber which carries a 50year guarantee against rot and a life expectancy of at least 60 years. For more information on Accoya click the logo or download the brochure below. Premium grade tanalised timber is also quoted as an alternative option. 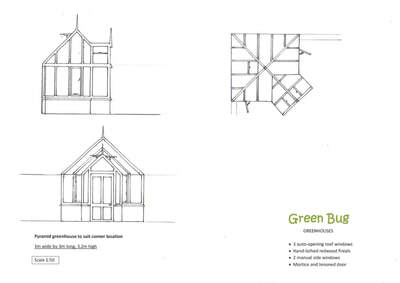 Green Bug designs the greenhouse you want, for free, and provides a free quotation with scaled drawings detailing all that is included in the price. We can amend the design and features until it's exactly what you want. Following your choice of timber (hardwoods, cedar or tanalised softwood or accoya), and choosing the size, shape and colour I build your greenhouse in my workshops in North Wales. 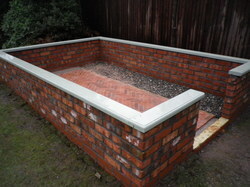 I make a first visit to dig out and lay the foundations, supply and build the brick walls and then return to assemble your greenhouse on site – no waiting on numerous tradesman to do the work for you. 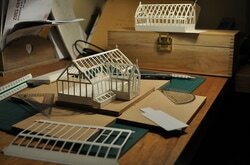 Get in touch and tell me what greenhouse, garden building, summerhouse you'd like to have. Have your greenhouse painted in any colour you wish. If you find the colour you like on any chart, or have the RAL number, or manufacturers name we can mix the paint to match.